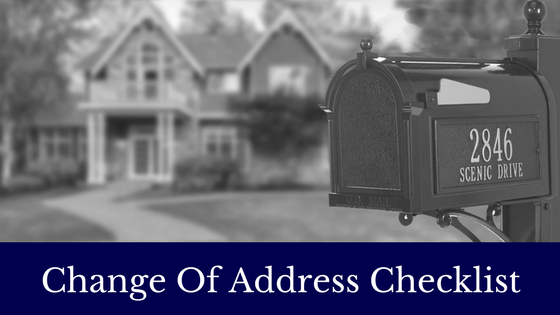 There are so many details to keep track of when moving that homeowners sometimes forget the little things – like filing the numerous change of address forms necessary to keep track of their accounts and assets. Although a change of address form filed at your local post office is helpful, paper mail may still be delayed two to four weeks during the forwarding process. Personally sharing your new address and contact information with individual service providers and organizations is the most effective way to make sure you don’t lose touch during your move.